So I referenced It’s A Wonderful Life in my title. Here’s why. I dislike that movie. Ironically when it first came out it did poorly at the box office. It didn’t even break even financially. In the film world, it was a dud. I hate a movie that became a Christmas classic. The reason is that poor George had dreams and he gave them up. He had waited and saved and held a carrot out in front of him and it was snatched ruthlessly from his grip when he was on the cusp of reaching his dream. This man’s suicide attempt didn’t just happen when money was lost and he was going to be arrested for a fraud he never committed. No. It came when he gave up his dreams. Yes, he was noble and responsible and he sacrificed it all at the altar of everyone else’s dreams and needs and then ended up getting screwed in the end anyway. (Yes, I know it ends happily but come on, he got the raw end of a deal from Mr. Potter). So he did what he was supposed to do. All the right things. And it still left him empty. Maybe I relate too closely to George Bailey. Maybe the reason the movie is now a classic is that at some level, we all relate. and longed for out of this life? Making a difference in the lives of others is the silver lining in this tale. Was George the richest man in town though because his friends came through for him? I mean, sure, he avoids prison, but does it really fill that hole deep inside? At the heart of depression is a feeling of worthlessness. Even more than that is a sense of helplessness. 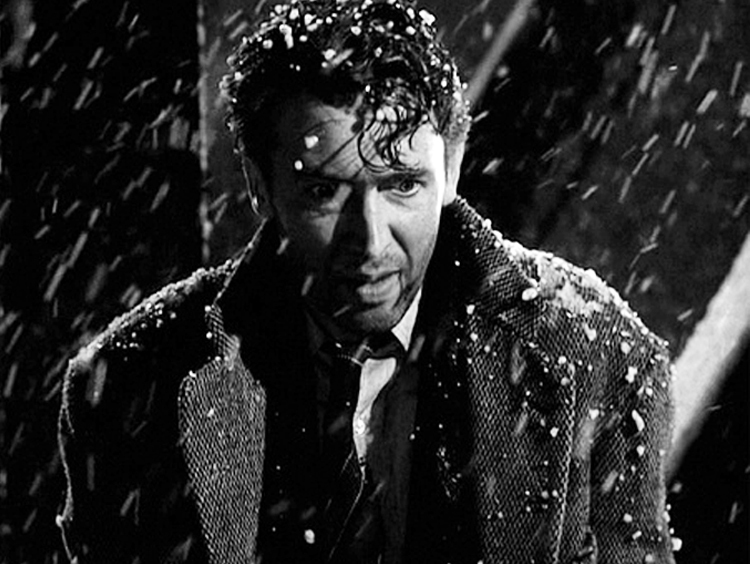 George Bailey had, in many ways, let life make choices for him. Sometimes, when depressed, a person can’t even see the choices that might be out there. Yes, George made some good choices and impacted the lives of many. In the alternate universe only the negative was highlighted though. Does one person’s life really make that much of a difference? A depressed person can’t see that their life makes a difference. No matter what anyone tells them, the message is blocked by the words and lies of others planted early on that say otherwise. After all, shouldn’t those people closest to us and have known us the best speak truth when they tell us no one will ever love us? Or that we aren’t pretty enough? Or smart enough? Or important enough? Yeah, I’m quoting a fictional character. Get over it. The fact of the matter is, even the shyest among us wants to be considered important. That’s why we want to the object of someone’s love. Or have a BFF. Or be the best at whatever it is we do. Because somehow that means our existence is validated. Andy Andrews wrote a book called The Butterfly Effect that illustrates the importance of one life and the millions of lives one person can impact over generations. It’s hard to see with that kind of vision when one is in a deep pit smothered in a thick woolen blanket. And the world around is farting in your face. The real tightrope is our identity in Christ. I am his favorite child. The favorite of all the people He created like me . . . because there is only one me. But He has other favorites too. You are His favorite you. With a unique fingerprint, DNA, gifts, personality and life experiences, no one else is like you. And God didn’t put us here to wander. He’s given us a purpose and a unique identity in Him. So I am the best. Whether the world around me wants to acknowledge that or not. I am the best me there is. I’m not perfect, but I’m growing and changing and sometimes that is painful. But even if the world around me cannot convince me of my worth, this should: Jesus died so I could have a relationship with Him. He is my best friend and the only one who can really validate my existence. I may not see the impact or have a Clarence to show me, but I can trust the keeper of the stars to let me know when the time is right, that my life, even the low points, were still used by Him for His glory.